Video is information and just like any other form of information, its ultimate usefulness depends on how well it can be accessed, searched and organized. That’s becoming especially apparent in higher education. As more and more colleges and universities around the world offer streaming and on-demand video options, the need for better ways to access all that content will only grow more intense. Remember the days of slow and unreliable internet connections or regularly dropped cell phone calls? When those technologies were young, and we hadn’t yet become so dependent on them, we maintained a modicum of patience. But that lasted only so long. Over time, our expectations rose, and you could say our needs in relation to these technologies rose, too. When we turn to streaming and on-demand video in higher ed, we don’t need a crystal ball to assume that institutions, as well as students themselves, are going to expect more and more. But I should clarify that I’m not really talking about things like streaming quality, or how vivid the captured video’s sound or picture is. Technologically speaking, those are now really the easy parts. What student users and others will come to expect — and rightfully so — are more effective ways to locate and access potentially helpful videos. Going a step further, they’ll want to be able to easily delve deeply into the videos themselves and more fully utilize them as a dynamic educational resource. After all, the whole point of video in higher ed is ultimately to create better learning outcomes, and video has an unparalleled ability to deliver a large amount of information relatively quickly. There have been some major advances over the last decade alone. Video technology now exists that enables institutions to have centralized video delivery and storage platforms for live streaming and on-demand viewing. The videos themselves are searchable, easy-to-navigate, allow features like polls and quizzes to be added, and even provide data analytics to instructors and administrators. We’re on the verge of a momentous shift in video use thanks to the amazing capabilities of artificial intelligence. If I had to distill one aspect from the many working definitions of AI that you can find on the internet, I’d point to AI’s ability to simulate a cognitive system, one that can change over time as it receives more input. In other words, a system that can learn. More specific to video streaming and capture, AI is enabling a new generation of speech-to-text technology. When this form of AI is integrated with the latest video technology, the potential to revolutionize how video can be used in education is astounding. Let’s just take one major factor of video accessibility — its searchability. AI’s speech-to-text abilities elevate captioning and transcribing processes to an unprecedented level of efficiency, accuracy and readability — and in a cost-effective manner. When you combine this fact with the sophisticated search capabilities that already exist within current video platform technology, users will be able to much more easily search vast collections of video. They’ll be able to instantly pinpoint specific video moments to study, share, discuss, repurpose. More specifically, the kind of technological synthesis can dramatically improve closed-captioning, which is especially important to students, faculty and staff with disabilities. This will also greatly help universities and colleges meet ADA-accessibility requirements. Not even cutting-edge speech-to-text AI is perfect. 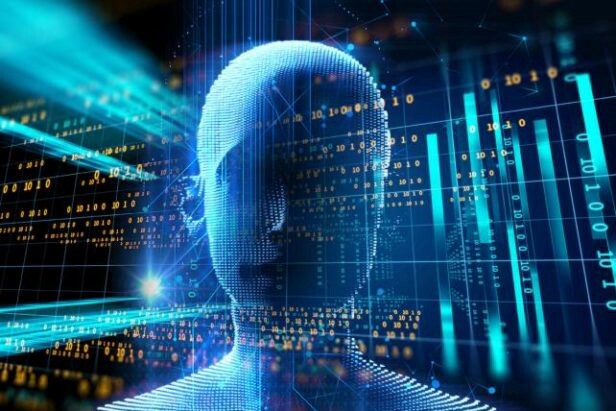 However, you have to consider the features that are unique to a cognitively based system, because this is where AI really breaks free from conventional programming. On top of that, because of the self-learning and -correcting capabilities inherent in AI, the more video that’s added to a given platform, the more effective the AI speech-to-text system becomes. In addition, any edits that are subsequently made to the automatically generated text will essentially be “remembered,” which is one more way that the speech-to-text capability improves over time. Bottom line: As more and more video is brought in to a given platform, and as more and more of it is used, the efficiency, accuracy and overall searchability of the system will actually get better and better. Now that’s exciting. People in general, not just students, are becoming accustomed to using video to learn. You can see that in something as seemingly mundane as YouTube (which gets over 30 million visitors per day). There’s a ton of highly viewed instructional content on everything from making a soufflé to fixing a lawnmower carburetor to understanding string theory. Examples like these are actually emblematic of a larger reality: People are already learning from video, even when they don’t necessarily think of it as “education.” That also suggests we’re entering a new era, one where we’ll increasingly see — and should see — video applications interwoven into the higher ed experience. We’ve already made tremendous strides in automating video for use in higher ed and with the integration of AI capabilities, video’s value as a critical educational tool has only just begun. Our goal should be to increase access to that tool and empower a growing audience of video-literate students to learn more effectively, giving them opportunities to take learning in directions we can now scarcely imagine. This column originally appeared in TechDecisions. Read it here.